At Dynamic Catholic, we are constantly exploring new ways to demonstrate the genius and relevance of Catholicism in the modern lifestyle. That’s why we develop world-class resources that meet people where they are and inspire them to rediscover the genius of Catholicism. And thanks to our generous donors, we are able to offer these resources for free or at low cost. People don’t do anything until they are inspired, but once they are inspired there is almost nothing they can’t do. Here are 9 simple, powerful ways that you can share the genius of Catholicism with the people in your life—and inspire them to discover the beautiful possibilities God places before them daily. 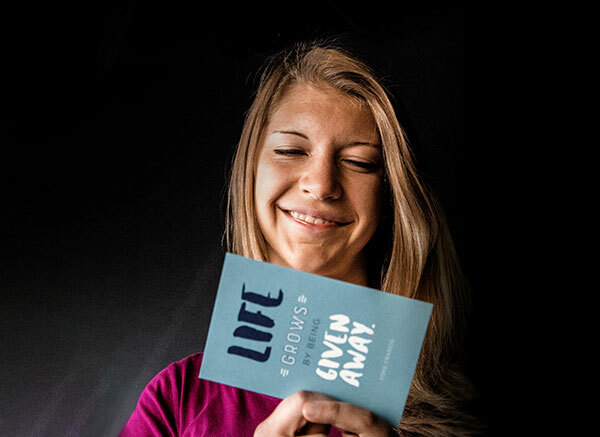 Giving someone the right book at the right time can be life-changing. 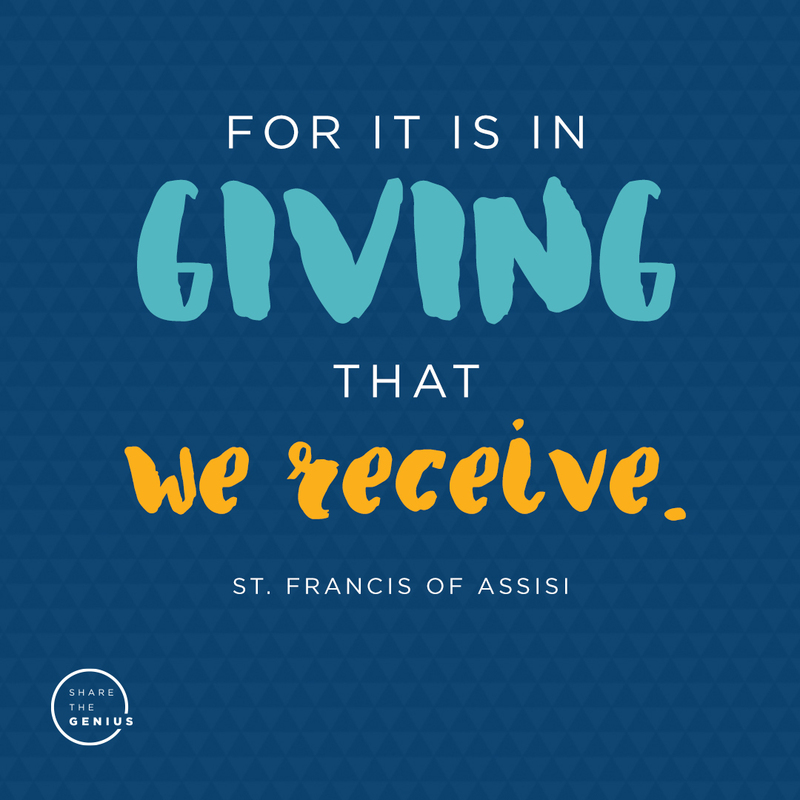 That’s why we’ve made it easy for you to give great Catholic books to the people who need them the most. 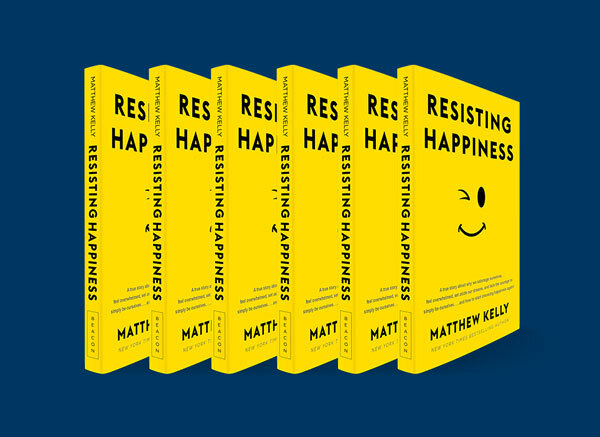 Get 6 copies of Rediscover Catholicism, Rediscover Jesus, Resisting Happiness, or one of our other titles for just $18 and give a copy to 6 people in your life. Very often, the people who have the greatest impact on our lives never know it. Use one of these beautifully designed postcards to say thank you to someone who helped you discover that there is genius in Catholicism. Inviting someone to a Dynamic Catholic event is a fun and energizing way to ignite their faith and flood their life with inspiration. 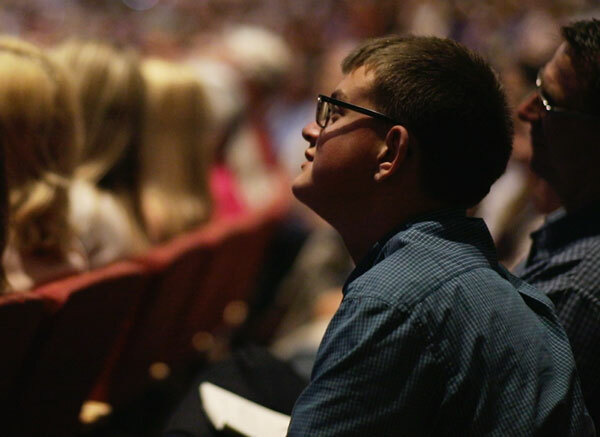 Featuring passionate speakers, powerful messages, and practical ways to find meaning in everyday life, our events meet people right where they are on their journey. Everyone you will ever meet is fighting a hard battle. Someone may look perfectly fine, but you never know what is going on inside. Perhaps one of the greatest joys of heaven will be seeing how much of a difference our prayers made in the lives of others. Pray for the people in your life—it’s one of the most powerful things you can do. 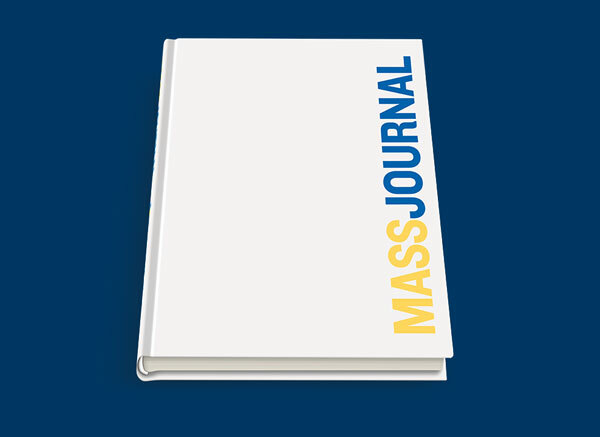 A Mass Journal is the perfect way to encourage your family and friends to listen to the voice of God in their lives. It has the power to transform and enrich their experience of the Mass, invigorate their spiritual life, and inspire them to become a-better-version-of-themselves each week. One of the greatest gifts you can give someone is to help them develop a sustainable prayer life—a daily habit of prayer that works for them. 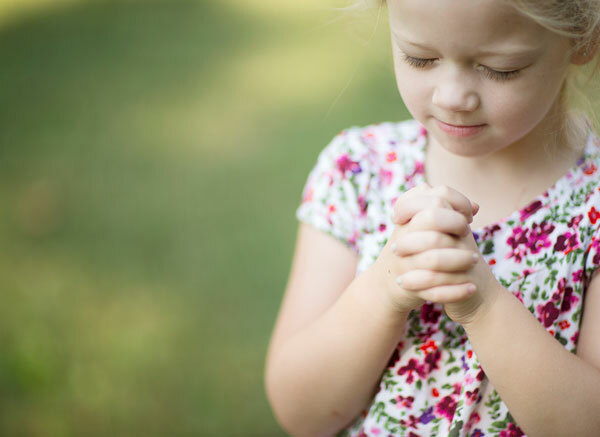 The Prayer Process is a simple, practical way to have regular, meaningful conversations with God. 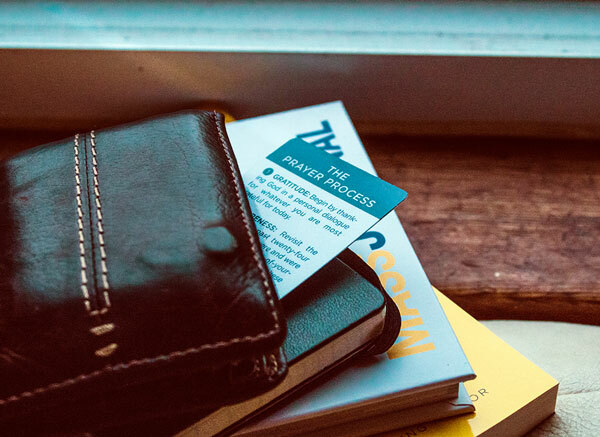 Give your loved ones a pocket-size Prayer Process card so they can take this prayer wherever they go. 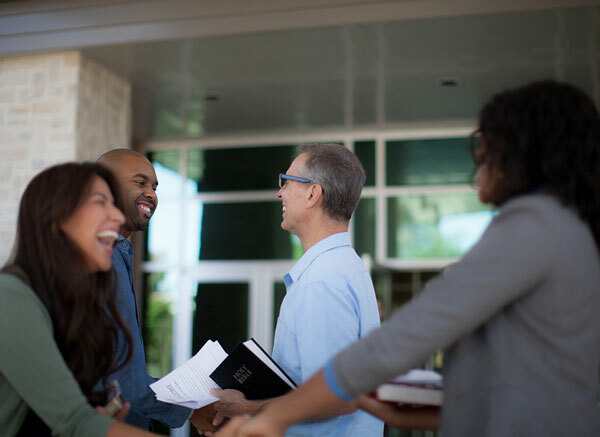 We all have a deep desire to feel like we belong—to feel part of something bigger; to feel welcome in a parish community. Invite a friend to join you for Mass. It’s amazing how many men and women just need to be invited to give Catholicism another look. Words are powerful. They can instill hope, encourage, provoke thought, and change the course of our lives. 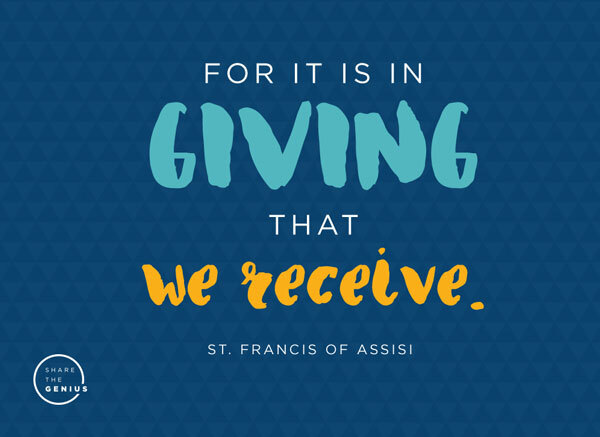 Inspire your friends on Facebook, Twitter, or Instagram with a bold and motivating quote—and help them rediscover the genius of Catholicism.